Stanley Tash, who was the first President of Local 4001 (1997 to 2001), passed away on August 12, 2017 at the age of 78. Brother Tash is survived by his loving wife of 53 years, Jean, son Michael and grandchildren Benjamin and Carley, and was predeceased by his eldest son, Jack. Stan was diagnosed unexpectedly with pancreatic cancer in June. Stan was originally a native of Prince Albert, Saskatchewan but moved to Kamloops, B.C. in the early 60’s. He retired from CN in 2003 after 35-years’ service with the Company. 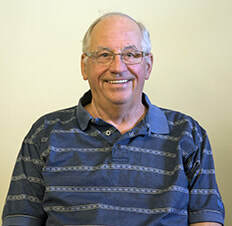 After retirement, he became active in the CN Pensioners Association, in addition to many other clubs and associations in the Kamloops area. Another person who worked with Brother Tash at the start of Local 4001 and National Council 4000 in 1997 was Barry Kennedy, former Regional Representative and President of Council 4000 and now National Representative with Unifor. “Stanley was a fine man! I was happy after Stan’s retirement from CN in 2003 that I got to continue our friendship while working together on the CN Pension Committee. I enjoyed sharing a drink or having dinner after these meetings reminiscing on old times. I am going to miss him.” Stan served as an alternate member of the Pensioner's Group on the CN Pension Committee. Current Local 4001 President David Judge expressed condolences on behalf of the Executive and membership of Unifor Local 4001.